We are identified as one of the leading manufacturer, exporter, and supplier of wide array of superior quality Ammonia Oil Separator. "Friends Refrigeration Manufacturers" involvement in refrigerant production dates back to the late 1960's. Since then, ongoing investments have led to its leadership position in global technology today. We with rich industrial experience, we Manufacture, Export and Supply industrial products like Refrigeration Equipment and Plant. 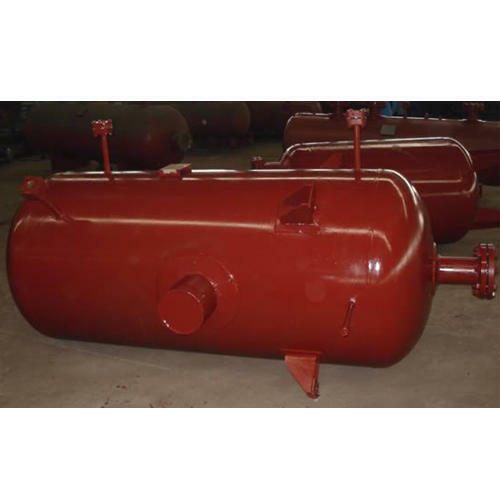 Our range of product includes Ammonia Air Cooling Unit, Bulk Milk Cooler, Ammonia Trunk Coil, Ammonia Receiver, Ammonia Oil Separator, Ammonia Condenser, Ammonia Compressors, Ammonia Air Cooling Unit (Diffuser), High-Speed Ammonia Compressors, Mini Milk Plant. The products we produce have unique quality low energy consumption, durability, and reliable operations. We offer user-friendly control to the customers, to easily adapt the functioning. Our breakthrough products have become the benchmark standards for large and growing number of refrigeration and air-conditioning systems worldwide. The design of the system is always done keeping in mind the usage of the customers. Catering to the global market, we assure the quality and durability of the products we offer. Being client-centric organization, we offer the best services to the customers and work in close coordination, Timeliness is the quality that we are renowned for. Our company is an affiliated member of the prestigious Indian Industries Association.